Mad Hatter Drive Registration is Open! It’s time to register your school, group, or company for the 10th annual Mad Hatter Drive! You can host a hat day fundraiser, collect new hats during a hat drive, have a Mad Hatter Tea Party, the options are endless! 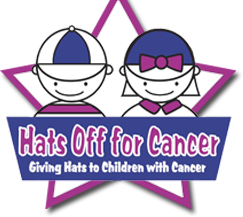 Have fun while raising money and/or collecting new hats for kids and teens battling cancer! You can hold drive at any time during the year, but we encourage people to host a Mad Hatter event during the Fall, or on Mad Hatter Day (October 6th).